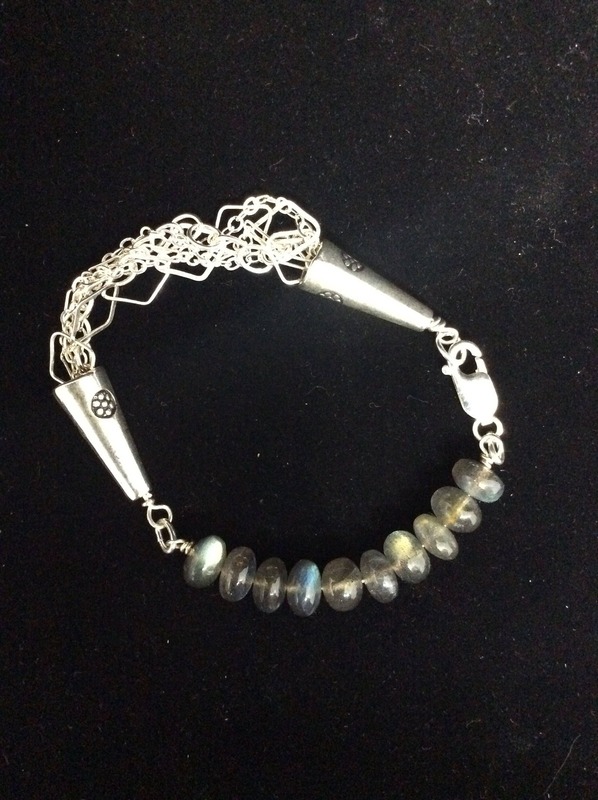 Sterling silver and AA grade laboridites make up this elegant bracelet! This gorgeous sterling and AA grade laboridite rondelles make this elegant piece of jewelry a very desired and sought after adornment. It measures 6 3/4” on the mandrel. 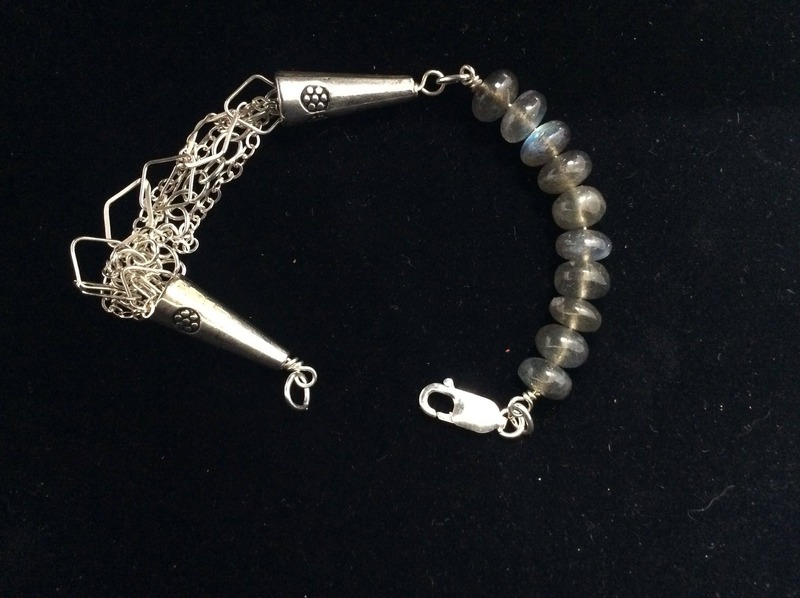 It is possible to slightly lengthen or shorten the bracelet. Convo me to discuss any alterations. Remember shipping is free, and returns are handled on a case by case basis! 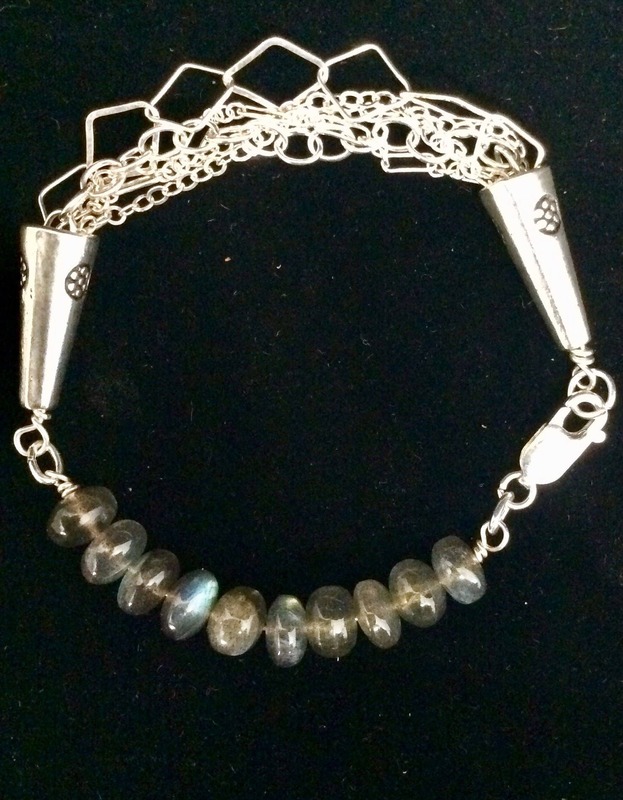 Labeled as “handmade” I’ve carefully and with love, created this OOAK (one of a kind) piece of jewelry. I find creating each piece enormously satisfying, and I throw my heart and soul into each piece. 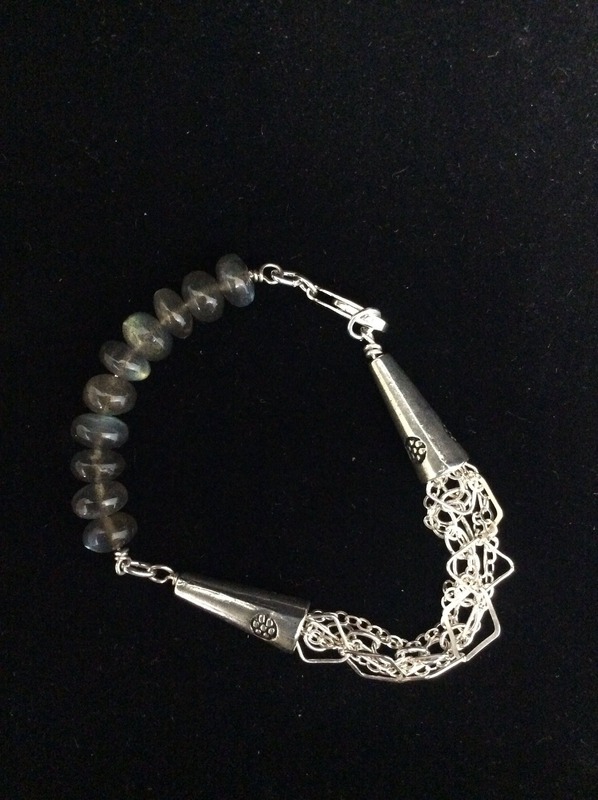 I sincerely hope that this bracelet conveys that same passion to you!